Two weeks ago my 14-year-old granddaughter and I went in search of gray whales. 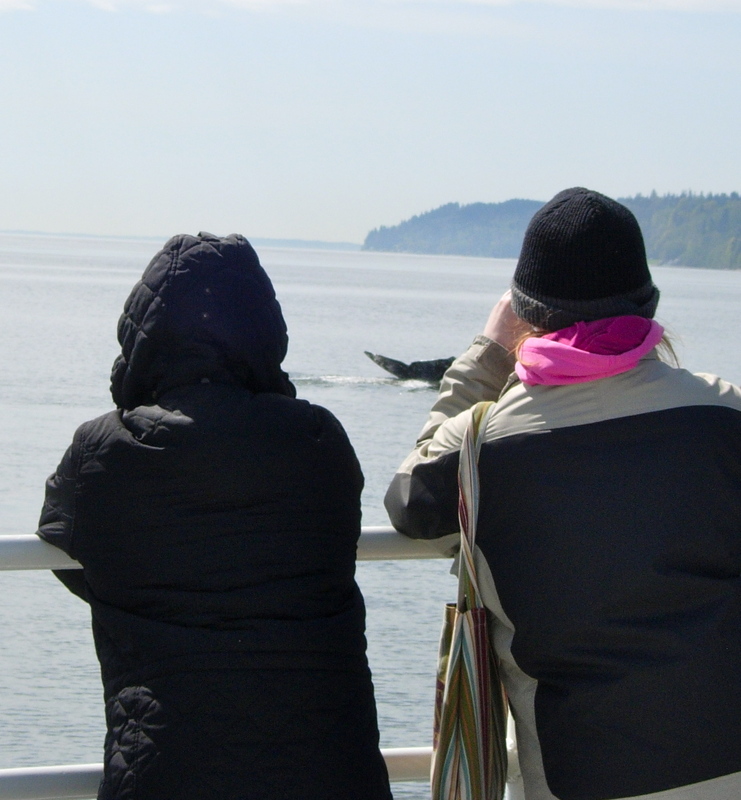 Jessica, a Michigander, had never been on saltwater before, had never seen a wild whale. 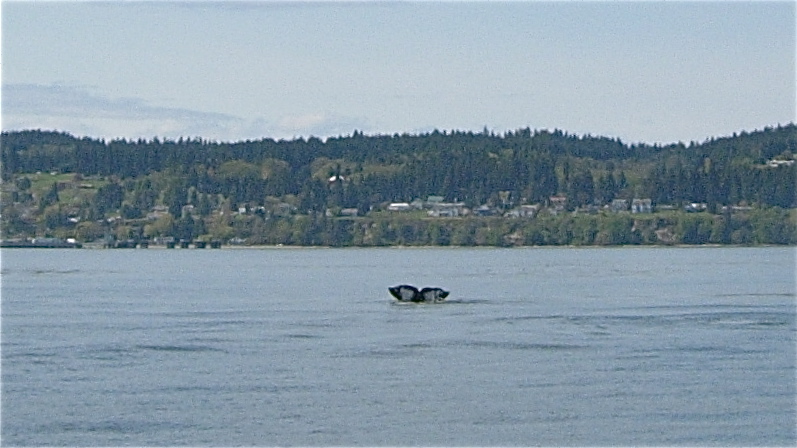 Aboard the Mystic Sea, a 100-foot whale watch boat harbored in Langley, Washington, we set out into Saratoga Passage, the body of water that defines the eastern side of Whidbey Island, my home. 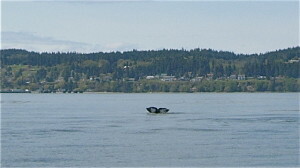 In less than half an hour the first whale spouts were sighted, and for the next 90 minutes the captain of the Mystic Sea followed his experienced intuition about where the gray whales would show up next as they searched the cutbanks (where underwater banks drop off sharply) for krill, the tiny shrimp that sustain the whales. We saw the huge animals spout, saw their backs rise from the water and dive in what seemed like an impossibly endless motion, saw their signature flukes wave in the air before they swam deep for a while. Then a spout would appear on the opposite side of the boat, and the thrilling sequence repeated itself. Once two 40-foot grays came within 20 feet of the boat, so close that when one spouted we could smell the krill on its misty breath. I grimaced at the unpleasant odor. But that quickly turned to an awestruck grin when I realized that I had just breathed in molecules exhaled by a behemoth from a realm unknown to me. The whale rose once more, and dived, its long spine looking serpentine, seeming immeasurable, until finally the fluke rose like a flag, or a salute, and the whale disappeared. When we returned to the dock, I felt as if I had accepted Walt Whitman’s challenge to approach the “unknown region.” Though the region he speaks of in his poem is death, the essence of his challenge is to cross the boundary from what is known to what is unknown, what feels fearsome. I stepped back onto the land of my beloved island with a sense of connectedness to the whales, to their ways of moving and being, to their mystery. and welcoming any smallest sense of kinship or empathy for a fellow traveler with whom we exchange the molecules of the breath of life, be they homeless human, deep forest firs, or foraging whale.